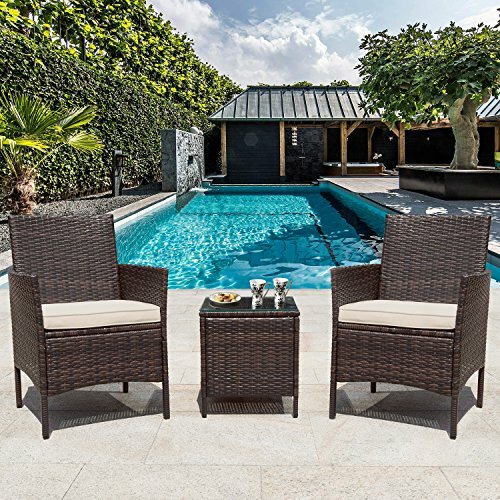 Flamaker is a developing brand in outdoor furniture, we focus on decorating your outdoor living space. 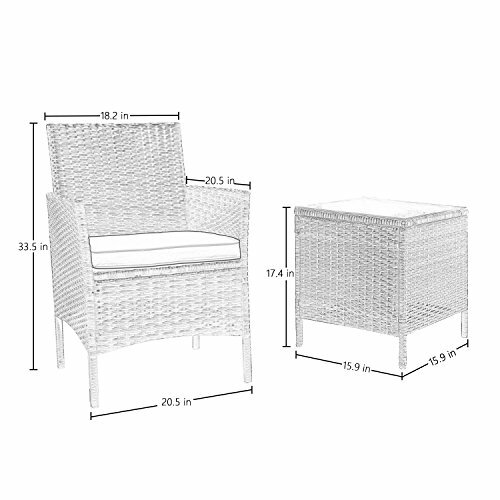 Anti-friction wicker protection design makes the furniture more durable. 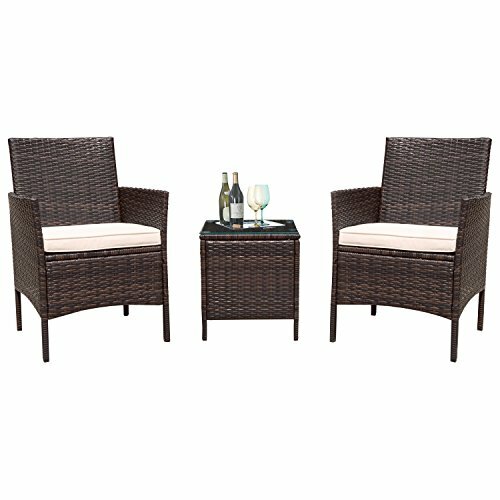 The coffee table closed face design makes the coffee table more stable and durable. 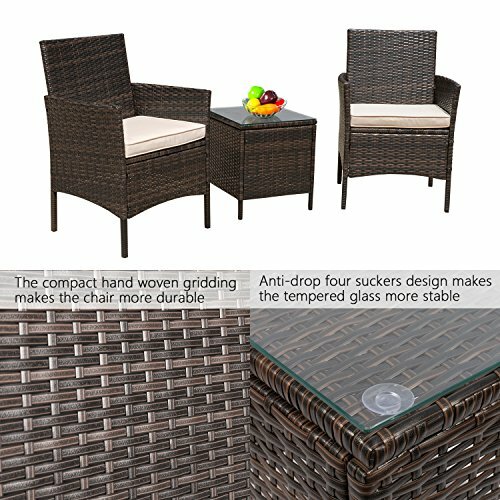 The larger stressed area design makes the chair harder to split when you rely on the back of the chair. 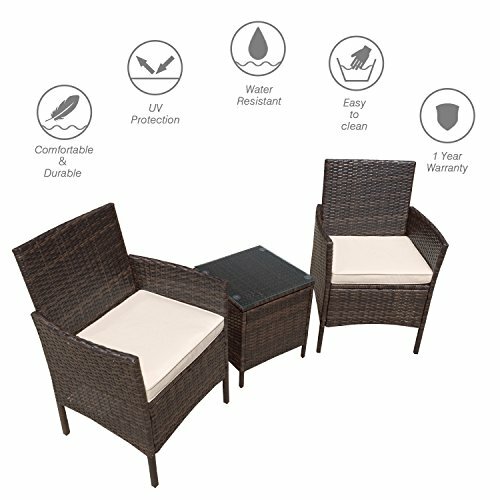 【Sturdy & Durable】Sturdy steel frame and high-quality hand woven rattan can support up to 285 pounds per seat ;PE wicker is better than traditional wicker material, which is weather-resistant and UV protected for no fading. 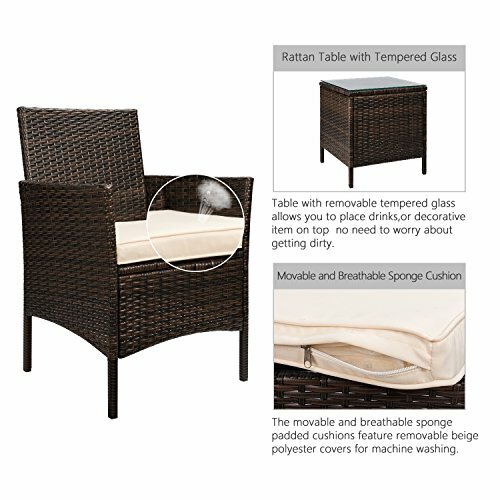 【Easy to Clean】Comfortable sponge padded cushions feature removable beige polyester covers for easy cleaning; Tempered glass on the table adds more convenience to clean if any tea or coffee drops on it. 【Tempered Glass】Table with strong bearing removable tempered glass adds a sophisticated touch and allows you to place drinks, meals, or decorative items no need to worry about getting dirty. 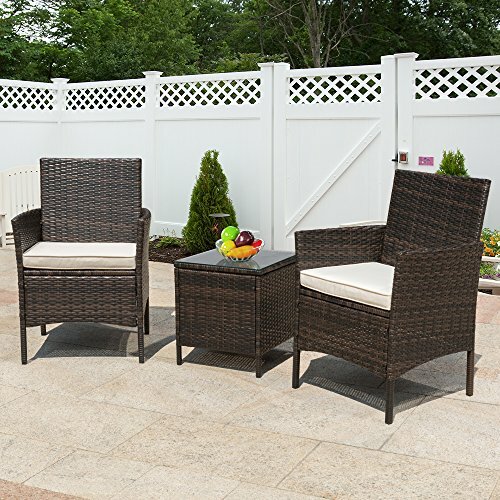 【Great for Living Space】High quality strong steel frame with all weather PE rattan wicker,so it is good choice for small deck, patio, backyard, porch, garden, lawn, balcony, apartment, terrace, breakfast nook and poolside.